Israeli Prime Minister Benjamin Netanyahu on Sunday demanded a “total” ceasefire from Gaza’s Hamas rulers in his first public comments on another deadly flare-up between the two sides. There have been efforts by UN officials and Egypt to secure a long-term truce between Israel and Hamas, though Israeli officials have not commented on them. Since July, there have been three major flare-ups of violence. “We are in the midst of a campaign against terror in Gaza,” Netanyahu said at the start of a cabinet meeting. “It will not end with one blow. “Our demand is clear: a total ceasefire. We shall not be satisfied with less than that,” he added. 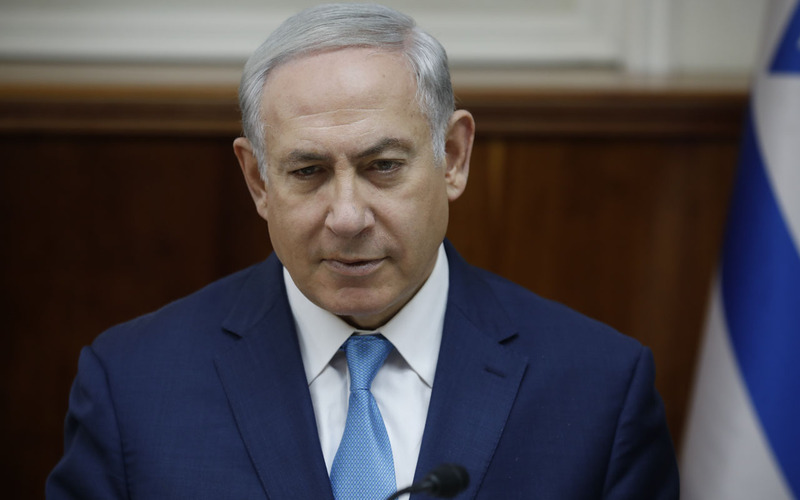 Netanyahu has come under political pressure to act more strongly against Hamas, though both sides are reluctant to start a fourth war between them since 2008. Israel has also sought an end to kites and balloons carrying firebombs over the Gaza border fence to burn Israeli farmland. An informal truce reached on Thursday night has largely held despite the deaths of three Palestinians since then from Israeli army fire during border protests and clashes. Thursday saw extensive Israeli air strikes in retaliation for the launching of more than 180 rockets and mortar rounds by Hamas and its allies beginning on Wednesday night. Three Palestinians were killed in the Israeli strikes, including a mother and her 18-month-old daughter, while seven Israelis were wounded by Palestinian rocket fire as hundreds took refuge in bomb shelters. It was one of the most serious escalations since the 2014 Gaza war and followed months of rising tensions. At least 168 Palestinians have been killed since Gaza border protests and clashes began on March 30, with most succumbing to Israeli fire during demonstrations. Others have died in air strikes. Over the same period, one Israeli soldier has been shot dead by a Palestinian sniper.